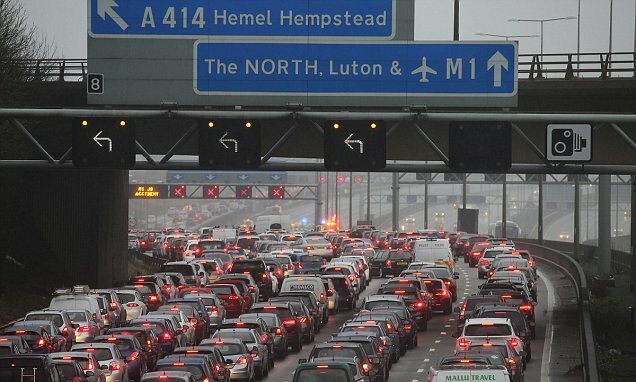 Thousands of drivers were caught up in Christmas Day motorway misery after a crash shut the M1 on Monday. The collision happened at junction 8 for Hemel Hempstead causing huge tailbacks on the roads. It has now been reopened but delays continue. Drivers described chaos on the roads with reports of 'debris' but were quick to praise the emergency services for their response. According to reports, traffic is being diverted up and over via the exit and entry slip roads.